For Cat Spaying & Neutering, Call Us! 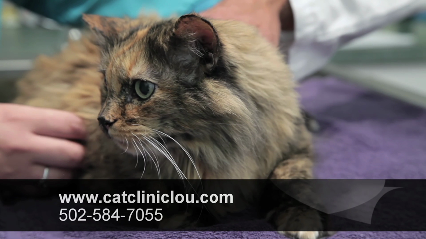 Established in 1984, The Cat Clinic of Louisville offers quality feline veterinarian care to our customers in Louisville and the surrounding areas. Our facilities and services are designed to provide complete medical and surgical care, early detection, treatment of disease, and preventative care for your pets. Our clinic is well-equipped to provide diagnostic and therapeutic services for your pet's health needs. To schedule an appointment, call us today at (502) 509-6990.